160 State Street was built in 1921 and completely renovated in 1986. It is located in the heart of Boston’s Financial District adjacent to historic Faneuil Hall Marketplace and a short distance from the Rose Kennedy Greenway. 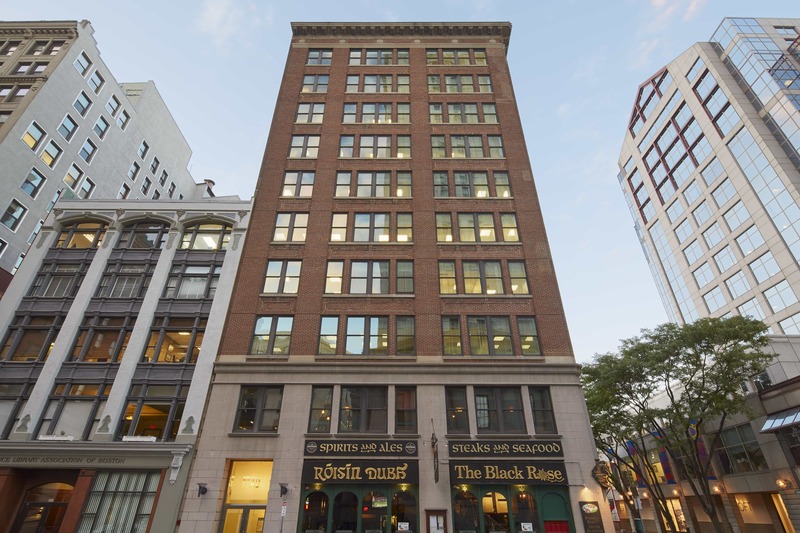 This Class B property is surrounded by historic landmarks, including the Custom House Marriott, and some of Boston’s most dynamic architecture and its location is bordered by the waterfront, North End, Government Center and Haymarket. The building is adjacent to Fanueil Hall & Quincy market retail and features a first floor restaurant. It offers easy access to public transportation, both the blue line T station and water taxis.